Hello friends! 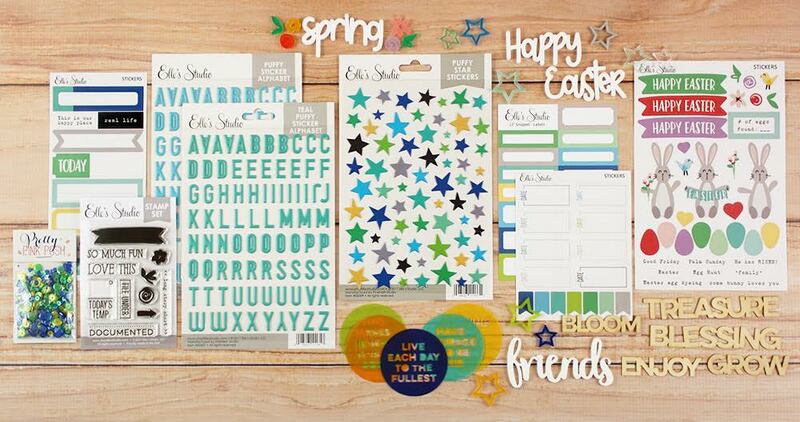 It's time to share my March projects with Elle's Studio! This is an extra special month because it's Elle's TEN YEAR ANNIVERSARY!! Woohoo! 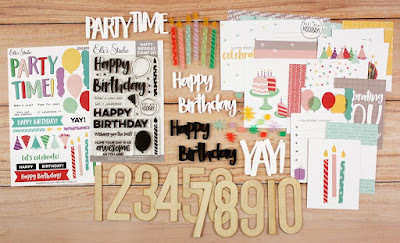 There are lots of fun things they are doing to celebrate, and I can't wait to share with you! 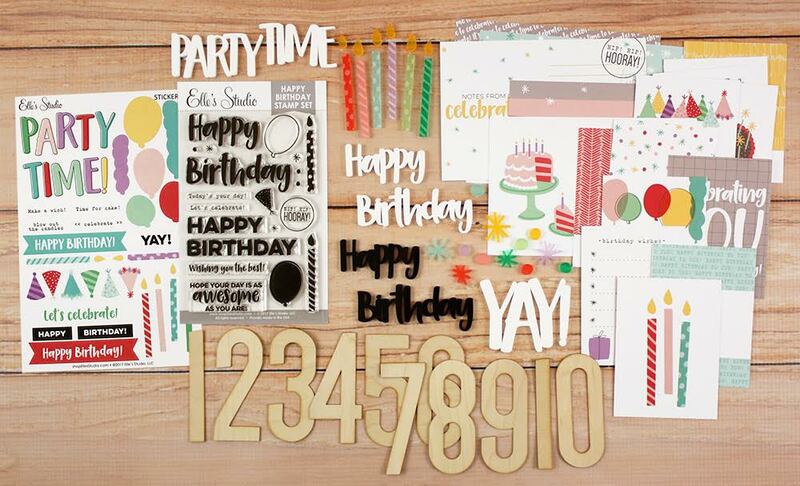 Not only are there special birthday items in the shop, but EVERY order from the store gets a free gift, and kit subscribers get a special free gift too! 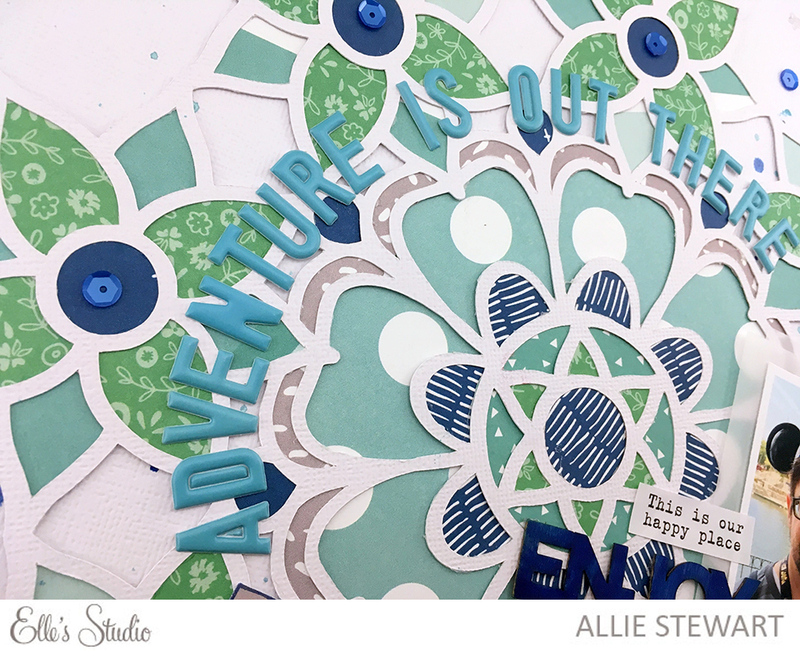 For this first layout, I cut a doily shape using my Silhouette Cameo. Inspired by the greens and blues in the March products, I pulled papers from Little Moments, Sunny Days, and the March kit and backed the doily. 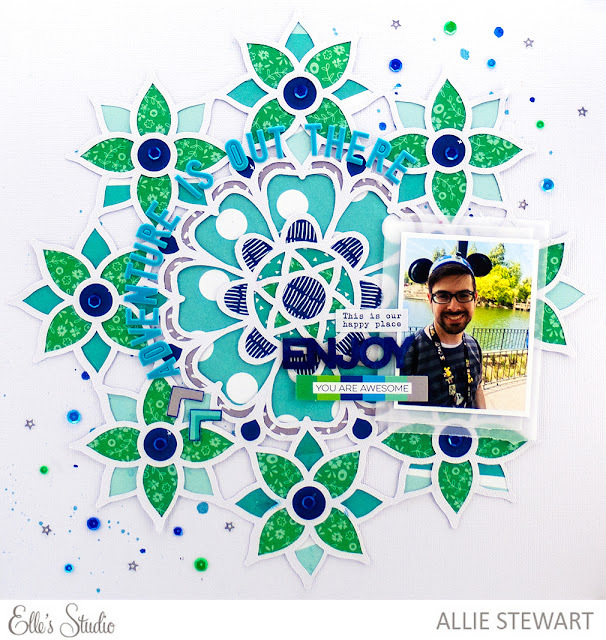 After I placed my photo, I added my title around the center of the doily using the brand new and GORGEOUS puffy alphas! I love them! I used spray ink to paint the "Enjoy" wood veneer, and added some die cuts with the kit. Finally, I finished with some of the new sequins! I love the extra sparkle it gives the page! 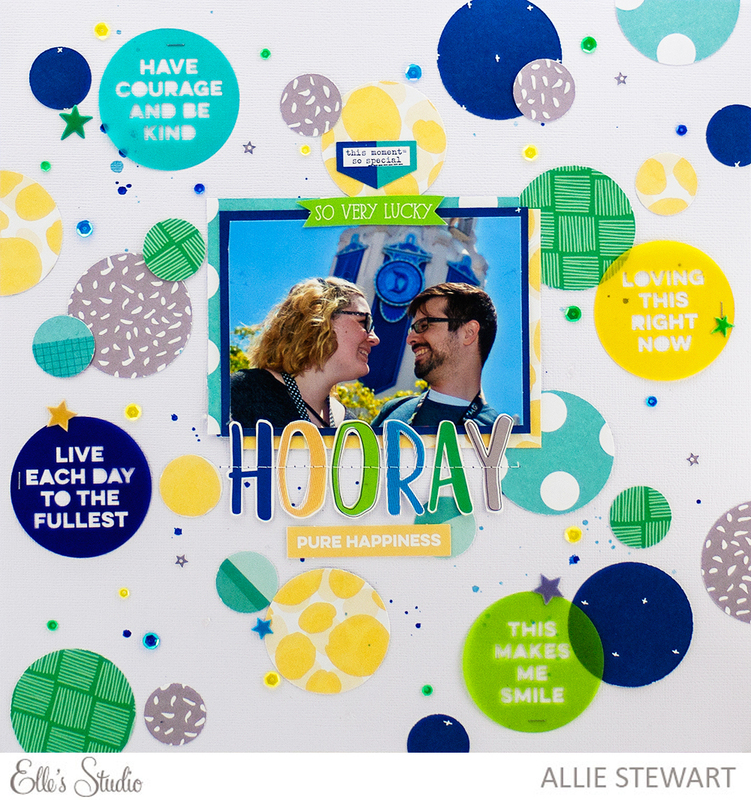 My second layout was inspired by the super fun vellum circles! 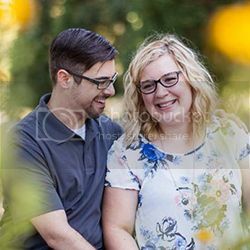 I loved all the fun phrases and sayings, and wanted them to be the focus of my page. 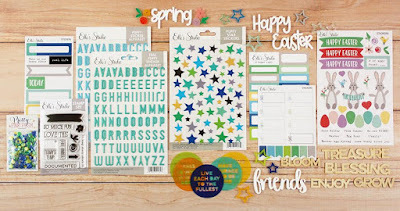 I various sized circles from coordinating colors in the Little Moments and Sunny Days collection, as well as the March kit. I kept my photo in the center of the page, and fussy cut the title "Hooray" from one of the journaling cards. I accented the page with sequins, ink splatters, and puffy stars! I had SO much fun using these products. The color scheme is gorgeous and pushed me out of my pink comfort zone. 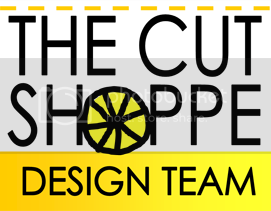 Be sure to check out the products in the shop, and don't forget about all the birthday festivities! I love your layouts. The doily layout is amazing! !